In investment banking, as in real estate, they say it’s location, location, location. While jobs in the financial sector can be found in almost every city, it’s a fact that some cities offer more opportunities for the aspiring investment banker than others. And it’s not just about the availability of jobs either; when looking for the best place to kick off your investment banking career, you should also take into account things such as cost of living, available resources for training, as well as trivial stuff such as weather conditions, language requirements and overall quality of life. Boston is considered one of the best cities for a career in finance, being the home to large money managers such as Fidelity Investments, Bain Capital, State Street and many more. Among the city’s advantages are the proximity to New York and its key location on the Northeast coast which makes Boston a gateway not only to the Big Apple but to London as well. While some say that the Boston job market for asset management jobs tends to be relatively more stable than that for investment banking, the city is still a wicked good place to start. Often cited as the finance capital of the world, New York hardly needs an introduction. The Big Apple is the home to some of the largest investment banks in the world, including Goldman Sachs, Morgan Stanley and Merrill Lynch. Also located in NYC is Wall Street, home of the world’s two largest stock exchanges, New York Stock Exchange and NASDAQ. Prospective investment bankers looking to start their career in the city that never sleeps will have to deal with New York’s hectic traffic and lengthy commutes which are of course more than made up for by the city’s amenities, culture and nightlife. Moving on to the West Coast, San Francisco is the finance capital of the western US and provides many career opportunities in the field of investment banking, being the home to companies such as Charles Schwab and US Capital Partners. The city’s proximity to the Silicon Valley is one of its main advantages especially for those interested in high tech venture capital. Why leave your heart in San Francisco when you can live there? In terms of lifestyle, San Francisco is the perfect destination for those aspiring investment bankers who enjoy the outdoors and like to stay in shape. The runner-up in the finance capital of the world competition, London offers multiple job and internship opportunities for investment bankers given that nearly all of the large international banks such as Goldman Sachs and Morgan Stanley maintain a significant presence in the city. Aspiring investment bankers could also turn to local UK investment banks such as Barclays. Just like Switzerland lies in the heart of continental Europe, Zurich lies at the heart of Switzerland’s banking industry. The city is one of the top European investment banking destinations with global bulge bracket giants such as Credit Suisse and UBS having their headquarters there. Applicants will benefit from having some knowledge in either French or German. Switzerland is famous for its spectacular nature, clean air and low crime, which make the country a wonderful place to live. The proximity of cities such as Rome, Paris, Berlin and Prague is an added benefit to starting out your investment banking career in the heart of Europe. Hong Kong is perhaps the top destination for investment bankers looking for work in Asia. The city, which is a key gateway to China, boasts a rapidly growing market for banking, wealth management, as well as trading jobs, with banks such as HSBC, UBS, Citibank and JPMorgan having offices in the city. Hong Kong has also become a hotbed of IPO’s in recent years. While being fluent in Chinese is not required if you are looking for an investment banking job in Hong Kong as English is widely spoken here. In terms of living, Hong Kong is a vibrant city which has a lot to offer in terms of shopping and nightlife. Singapore has in recent years become one of the most preferred locations for both seasoned and prospective investment bankers with both US and European financial institutions investing heavily in the southeast-Asian city state. Citigroup, JPMorgan and BNP Paribas are just a few of the banks which have chosen Singapore as a hub for their operations in South East Asia. 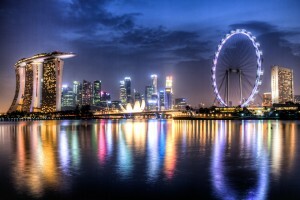 One of the most exciting cities in Asia, Singapore is famous as a shopping heaven and has numerous cultural attractions. It’s however important to note that the city is very humid on account of the monsoon seasons which happen twice a year. One of the fastest-growing cities in the world, Dubai is well on the way to becoming the financial Mecca of the Middle East. Banks such as Credit Suisse and Africa’s Standard Bank have offices in Dubai, with other financial institutions also rushing to establish a presence in the city and use it as a base to gain a foothold in the Middle East and African markets. Even though the language barrier might sound somewhat intimidating, it’s good to know that there are jobs available even for those who do not speak Arabic. While Dubai is sometimes referred to as the entertainment capital of the Middle East, westerners looking to relocate there should be mindful of certain restrictions rooted in the city’s Islamic traditions. Our journey to the top destinations for an investment banking career concludes Down Under. Being one of Australia’s financial centers alongside Melbourne, Sydney hosts the offices of international financial institutions such as JPMorgan and Deutsche Bank, as well as the headquarters of local heavyweights Macquarie Group and Westpac. With its beaches and various outdoor opportunities, Sydney is the perfect spot for those looking to maintain an active lifestyle. An added benefit is the lack of a language barrier although some might argue that the Aussie accent takes some getting used to. If none of the above options has caught your eye, perhaps you could also consider a job in South Africa’s Johannesburg, especially if you are interested in emerging markets, or bet on the recovery of Japan’s economy and land a job in Tokyo. Or you could opt for a more traditional European location and move to Frankfurt which hosts the European headquarters of many international firms including bulge bracket behemoth Deutsche Bank. In any case, when choosing the ultimate spot for your investment banking career, the most important factors to take into account are the job opportunities the place has to offer, and whether you can picture yourself living in that city. While long hours are among the hallmarks of the investment banking career, you still need to have a good place to spend the big bucks after landing your lucrative job as an investment banker.